Below are two lengthy Sections from the Interlocal Agreement between PSTA and Pinellas County that was approved at the June PSTA Board of Directors meeting. This Section provides the authority for the PSTA to obligate sales tax proceeds to the payment of bonds issued by PSTA. Once obligated, these funds cannot be reduced or used for any other purpose by PSTA or the County. The bond covenants will determine how the money is to be spent, and while the County may have some say in the structuring of the bonds, PSTA will really be in the driver's seat, because they will actually be spending the bond proceeds with limited County over sight. We have already seen how liberally PSTA interprets rules related to spending money. This Section sets up the conditions under which the sales tax would terminate. Note that (D) sets the life expectancy of Greenlight at 50 years but allows for two 20 year extensions. A baby born on January 1, 2015 when this Tax starts, will pay the tax their entire life, their children will pay it and it is not inconceivable their grand children may also pay it. This amount of indebtedness for this length of time to develop 24 four rail stations for a train generally going to the wrong places; buying and selling a bunch of land and building tracks and buildings so a very few can get very rich is very, very wrong. The law you are being asked to approve with your YES vote is just over 5000 words long. The Interlocal Agreement where the County attempts to put some control on PSTA is over 7000 words long. And we have just begun. 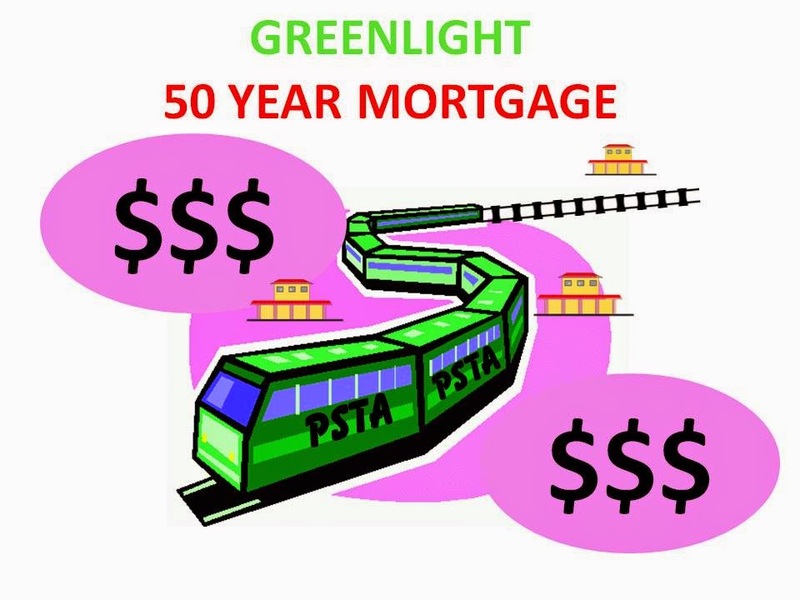 Don't mortgage your future, your children's future and grandchildren's future for a train that does not meet the core public transportation need and will cost millions more than the Greenlight plan contemplates. Send the County, PSTA, TBARTA and Greenlight back to drawing board just like they did in Hillsborough County. Greenlight is a plan that we don't need and cannot afford. Talk to you fiends and neighbors and be sure they know what they are voting for. It's not public transportation. It's all about the money.